The Picture Plane Diagram View shows blue parallel receding lines which are at right angles to the Picture Plane. The Center of Vision is where the the parallel ray from the eye meets the Picture Plane. 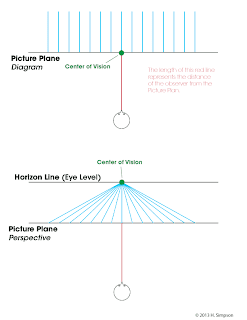 The Picture Plane Perspective View shows that the blue parallel receding lines must vanish in the Center of Vision. 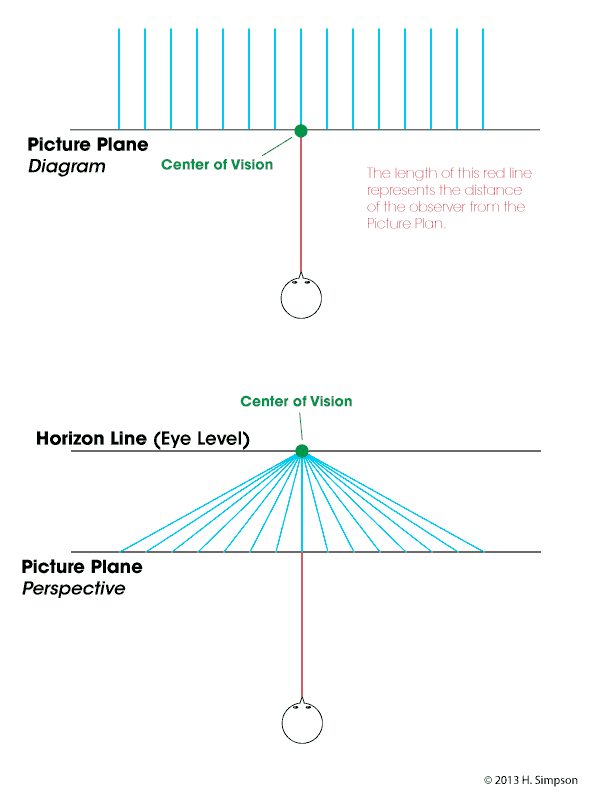 The Center of Vision is at the intersection of the Picture Plane by a Horizon Line.